I've not tried Ciate before (partially because I really, really hate the phrase "paint pots" for some reason... they're bottles, okay? And it's nail polish, or lacquer, or whatever. Nobody calls it 'nail paint'. I know it's some cute marketing thing, but I hate it). I'm a spendthrift (mostly out of necessity) so I typically try to swap for polishes that I want or if I'm going to drop a full dolla dolla amount it's only on indies, etc. Since I got a Sephora gift card for Christmas, I decided to try a few brands I hadn't yet. Ciate has this pick-3-for-$18 end cap there where you, uh, pick out 3 mini Ciate paint pots and they fit inside this little box and it's pretty adorable, okay. I actually liked quite a few of the options, but I decided to go with Pucker Up, True Blue and Risky Business. Pucker Up, according to Sephora.com is a "Glimmering Pink". Meh! I would describe it as a highly textured metallic orchid with gold and violet shimmer. Seriously sparkly, but very very tactile... Texture polish is the one trend that doesn't set my teeth on edge so it doesn't bother me. Unlike some texture polishes (the L'Oreal Gold Dust line immediately comes to mind) it took a couple coats to get an even-looking texture on the nail. A little streaky at first, if that's even possible, but the result is worth the deliberation. Below is three thin coats, artificial light. With one coat of Essie G2G. I realize for full smooth-ocity I need way more than just some top coat, but even just that really brings out the color. 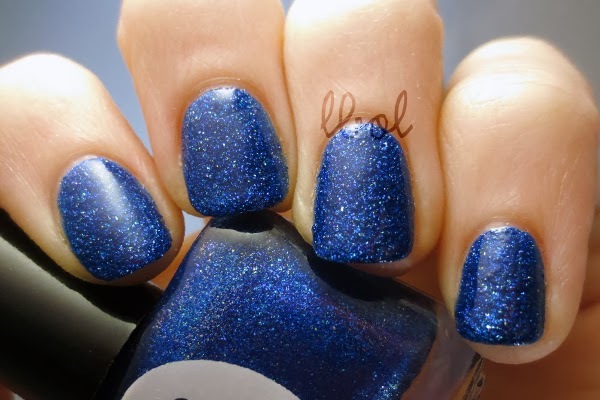 True Blue doesn't even have a description on the site, because duh kind of. It does, however, have a super awesome green sparkle that pictures don't show very well. 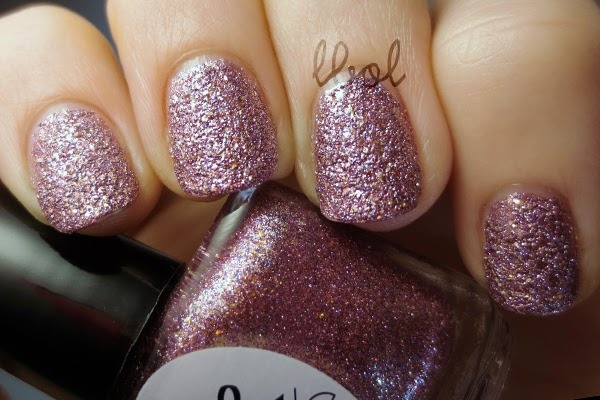 There's also this pink shimmer in the bottle that doesn't translate onto the nail. Sad face. 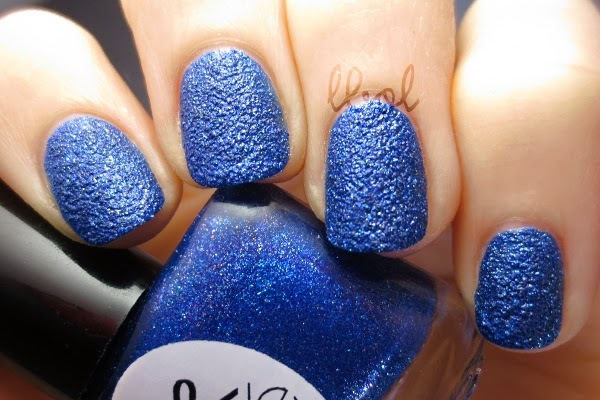 This is two coats, artificial light. Much easier to work with than Pucker Up. Looks like straight glitter on the nail in real life. Definitely my favorite of the two. Top coat gives it a lot more depth and contrast. I lily like it. As far as Ciate textures go, they're not as easy to work with as some, but their color/glitter combos make them a welcome addition to my stash.